Meet Princess: She is a Public Relations manager with a construction firm who enjoys cooking and designing clothes. 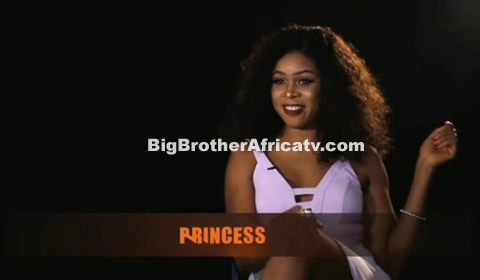 The 25-year-old would love to use the Big Brother platform to explore her acting talent and if she wins, will spend the prize money on her lingerie and beauty business. Princess Linda Onyejekwe enjoys cooking, designing clothes and partying on occasion. A geology graduate, Princess intends to use her time in the House to tap into her secret acting talents and let her “Alter Egos" take center stage.